I've Got S.D. Sykes Covered! Once again it's time to compare one book and two of its covers, one from the US and the other from the UK. I became interested in this since I read a lot of UK crime fiction and have been burned in the past by different covers (and even different titles) that led me to buying duplicate books. I'm much savvier about that now, but I still find it interesting to see what aspects of the book each publisher decided to emphasize. This week we're taking a look at a book that I have sitting on my shelf waiting for me. It's a mystery that occurs after the Black Death has swept through England. Not only does the main character have to deal with all the changes the plague has made in his world, he must also deal with the deaths of young women on his estate. Once again, these covers are very different, aren't they, but at least the titles are the same! The UK edition is stark. A black-painted wood grain background... or is it charred wood? The font used for the title and the author name tells us that it's historical, as does the caption at the top: "As the Black Death ends... Murder begins." That dog (or wolf) head on a stick refers to the village priest's claim that the young women were killed by demonic dog-headed men. Very simple, yet this UK cover tells us a lot. It's not particularly eye-catching, though-- unless you're a plague groupie like me. On the other hand, the US cover is an embarrassment of busyness. All we're told is the title and the author's name, and if you're trying to decipher those tiny words at the top and bottom, I got this from Amazon's website, and all those words say is "Copyrighted Material." I thought I had the solution, and rolled my chair over to the shelf where my own copy of the book sits, but guess what? My copy is the UK edition. No joy there. Nope, the artwork is what draws a person in, and if you love Hieronymus Bosch as I do, you're going to love looking at everything that's going on in that cover art. (I couldn't deduce whether or not this is a Bosch painting, but it is certainly in his style.) You can see chaos and horror and the pulse of life-- among so many other things-- as you look at this cover. Now which one do I prefer? I think you've already guessed because I've told you that Bosch is one of my favorite artists. I bought my UK copy at The Poisoned Pen (big surprise, huh? ), and the title is what caught my eye because (1) I have a thing about the plague, and (2) I'd recently put this book on my new mystery releases picks. But that US cover just pulls me right in and makes me want to know more. What about you? 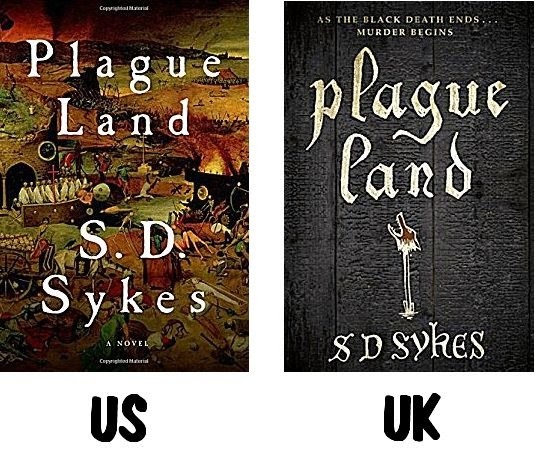 Which cover of Plague Land do you prefer? US? UK? Neither one? Inquiring minds would love to know! Interesting choice here, Cathy. I like Bosch, too, and the US cover does draw me. But the UK cover gives such a clear message about the time and place and so on because of how stark it is. Hmmm.......I suppose the US cover, but not without a generous nod to the other. I'm not drawn particularly to either one, but I would say the British cover conveys more of a menacing mood and,as you said, a historical piece. And the line at the top helps to draw in readers who like that sort of book. I like Bosch, too, but not necessarily on this cover. And I don't think the U.S. cover conveys the mood of the book as it's outlined here. You're definitely right about the line at the top of the UK edition giving a clue about the subject matter of the book, Kathy. I'm not quite sure why I like Bosch so much. I tend to not like "busy" but he draws me right in and I have to keep looking to make certain that I don't miss anything. Kinda like those "Where's Waldo?" books. In art I do like Bosch. His paintings are unusual and incredibly busy, as you point out, but they are fascinating. One could look at one of his works for hours and still keep seeing more details. And I'd probably like it on a cover for a different book. I do see the dead bodies all around, of people who died of the plague. So it makes sense, but I still think the British cover implies more danger and menace. Even though the Bosch-like cover has so much going on, it still looks like fun unless one looks closely and sees the bodies. My Where's Waldo reference made it seem as though I think this cover is fun when I don't. I immediately see the bodies. I immediately know that something is wrong, and I want to look through all Bosch's clues to find out what it is. Black Death ends as Murder begins at the top; black cover; wolf's head on stick and the font implies menace. 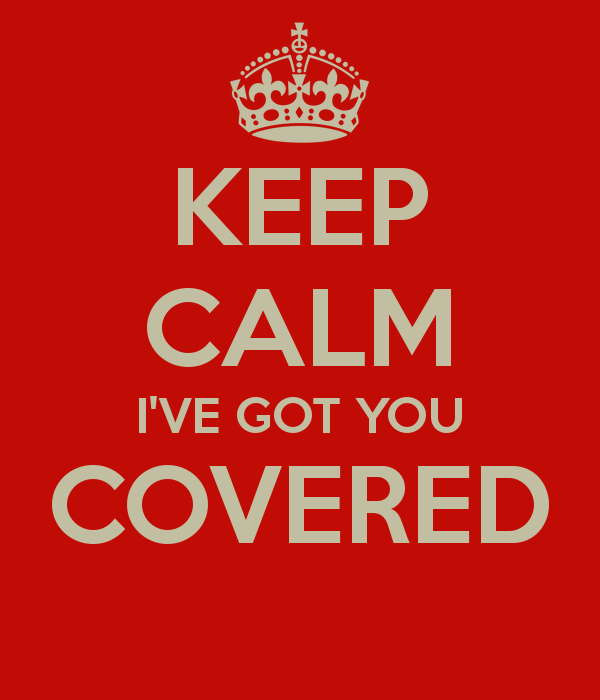 Solid black covers convey death. I wear a lot of black; it's not menacing to me. As I said, I agree to disagree! I wear black, too, am now. It's the easiest to keep clean and it goes with everything! But on a cover with the top phrase, dog's head and font, it comes together to look a bit menacing. But black does convey a funereal tone in this type of book.